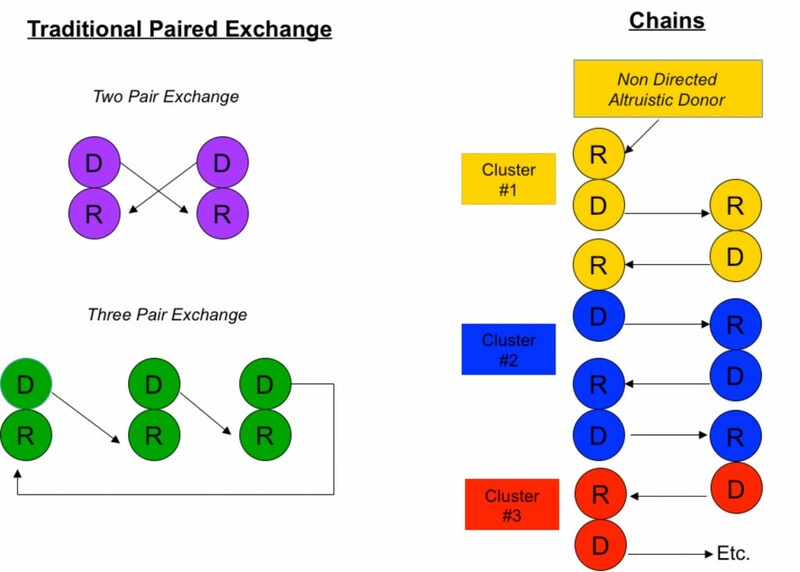 Paired kidney Exchanges- What are they? Living donation is a type of organ donation in which a living person gives an organ or part of an organ to a person who is in need of a transplant. Most of the time, living donors will donate to a family member or a friend. However, not everyone who donates gives to a friend or family member. In fact 1 out of every 4 donors does not know the recipient. Some people decide to donate as a random act of kindness, while others participate in paired kidney exchanges. 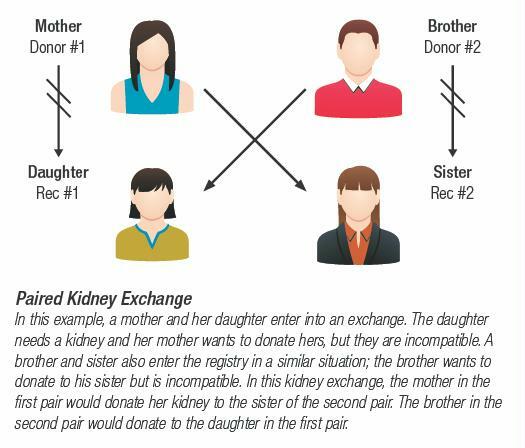 Paired kidney exchanges occur when a donor isn’t a match of their intended recipient. Since the organ will be of no use to the intended recipient, donor registries and the Organ Procurement and Transplantation Network find another potential recipient who will be a match and give the organ to them. In turn the original intended recipient receives an organ from another person who is a match. Exchanges can occur between only two sets of donor/recipients, but often they can occur in a huge chain of donors and recipients. 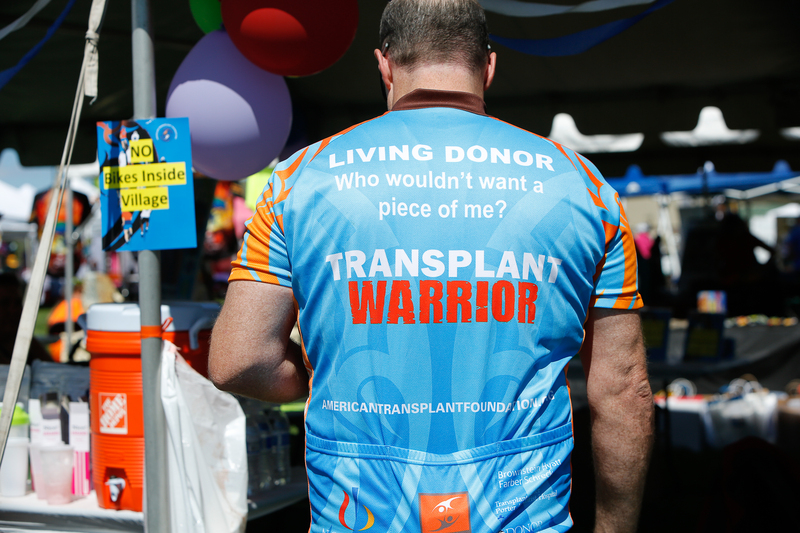 Currently the Organ Procurement and Transplantation Network maintains the national Kidney Paired Donation program which helps find matching exchange pairs. According to Johns Hopkins Comprehensive Transplant Foundation, 45% of donor/recipient pairs could find a perfectly matched donor by entering the National Paired Kidney exchange program. Experts at Johns Hopkins also believe that an additional 1,000-2,000 transplants will be made possible because of the exchange program.